Super quick post today, but super helpful! One day the girls said, "You know there is a hole in our tub?" "There is a hole in our tub." I am thinking they have no idea what they are talking about, so I go in there. Sure enough, there is a hole in their tub! "No more using this tub or shower, 'till it's fixed!!" That went over well sharing our shower with my two teenage daughters!! I think while installing the new LED lights in the shower, some one dropped something. I should clarify it was only about a quarter of an inch in diameter. Small, but it doesn't take much water under a tub to create an awful mess, so it had to be fixed. I checked into having someone come fix it. It was over $100 for this little hole. 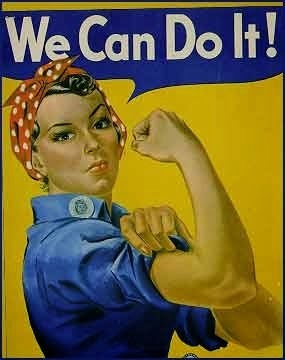 Am I the DIY Queen or not? I decided I could tackle this baby myself. After a little Internet research and some shopping. I was armed and ready!! Both Lowe's and Home Depot had some sort of kit. 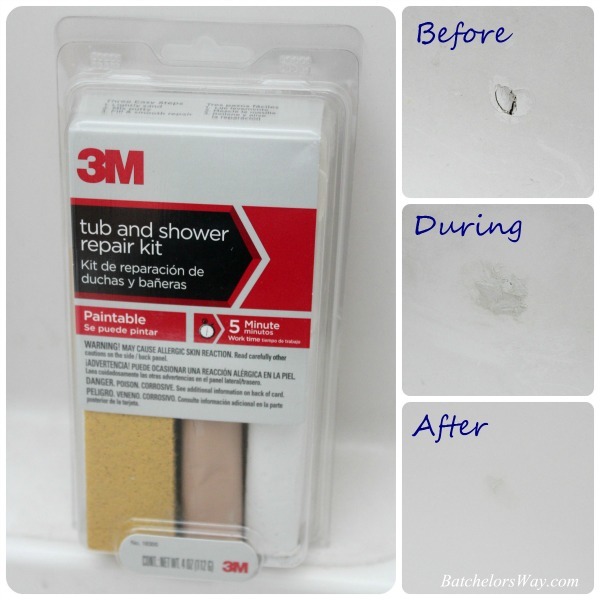 I chose 3M's Tub and Shower Repair Kit from Lowe's for $16. Saved my self over $84!!! It was actually pretty simple. Lightly sand with sanding sponge. Put on plastic gloves and using wet fingers work the epoxy putty into damaged area. Smooth and remove excess epoxy before it hardens in 5 minutes. After 60 minutes, wet sand smooth. The kit came with gloves, sanding sponge and two colors of putty to mix to get a perfect color match. My tub was white so I didn't have to mix it. I was very pleased with the results! My repair is barely visible.